With easy access to US 287 and just minutes from downtown Fort Worth, this brand new mixed-income apartment community is ideally located near schools, shopping, healthcare, and a new YMCA. Columbia Renaissance Square is the apartment lifestyle you deserve. Subscribe now if you are interested in receiving apartment leasing information. The vision for bringing new life to this neighborhood begins with a mix of spacious 1, 2, and 3-bedroom apartment home styles. The open floor plans include separate dining areas, full-size kitchens with a complete package of ENERGY STAR® appliances, and 42-inch cabinets. 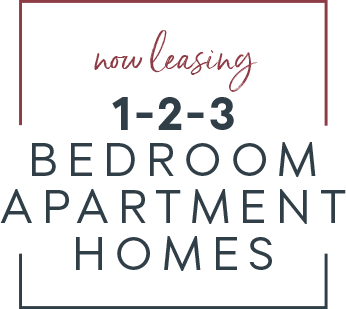 Residences also feature washer and dryer connections for added convenience and designer-inspired finishes like vinyl plank flooring, ceramic tile, and carpeted bedrooms. On-site amenities include a community room for social events, computer center with Wi-Fi, fitness center, and central laundry center. Tree-lined pathways connect the community to create a walkable, serene neighborhood. Columbia Residential’s commitment to quality construction, sustainable materials, and energy efficiency means that residents will enjoy improved indoor air quality and increased energy savings with individual HVAC controls and upgraded lighting packages. Renew your lifestyle with Columbia Renaissance Square. © 2019 Columbia Renaissance Square.